Orchids There are 2 products. This beautiful orchid offers fuchsia flowers of incredible beauty. Containing suggested. Delivery only € 12.50. 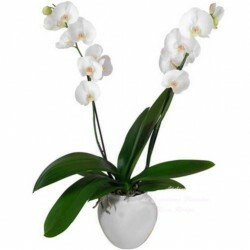 Pretty white phalaenopsis, one or two rods in a container match. Containing suggested. Delivery only € 12.50.